HF Series High Flow Cartridges offer a large pleated surface area that translates to longer life, higher loading capacity, and increased particle removal. The HF Series is Pall® compatible. Neo-Pure HF Series High Flow Cartridges are made of pleated polypropylene material which provides a lower initial pressure drop and higher flow rates. 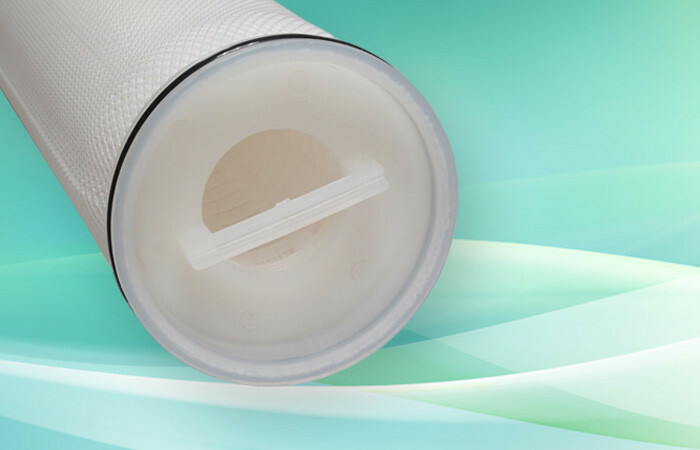 All components including the center tube, end cap, and filter media are thermally bonded together to provide additional strength. HF cartridges have a pleated surface area which gives longer filter life, higher loading capacity, and increased particle removal. Neo-Pure HF Series High Flow Filter Cartridges come in multiple lengths and sizes with eight micron ratings for all of your filtration needs. Available in four sizes: 20," 40," 60," and 80"